You are here: Home » Chilean guava: a fruit the birds won’t eat? 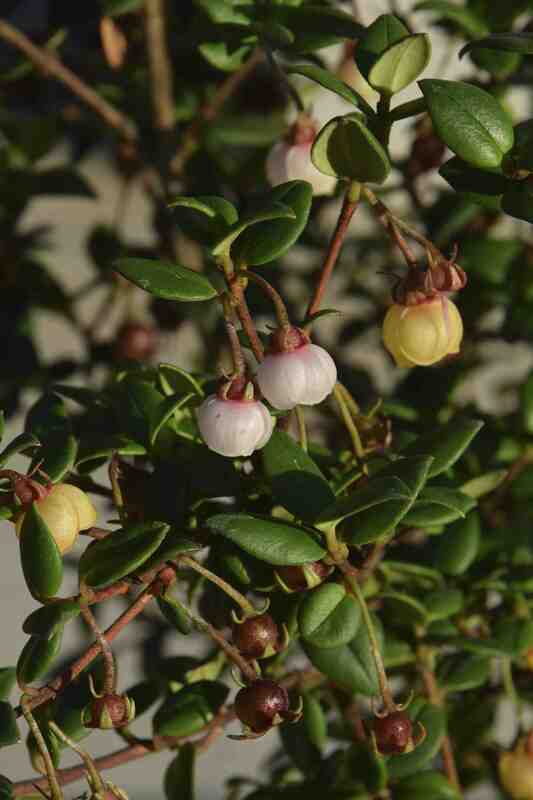 Chilean guava: a fruit the birds won’t eat? It’s a good job I have commercial strawberry growers all around me and I don’t have to rely on the fruit I’ve grown myself – the blackbirds have eaten virtually everything this year and I am more than slightly p****d off about it. It is a bit wearing when the only things you can eat from the garden are the few crops that wildlife don’t fancy the taste of: basically beetroot and courgettes! But us gardeners have to be resilient and adventurous and, of course, it will be better next year! Last week I was interested to see some Ugni molinae for sale at a local garden centre and because this has edible berries, as well as pretty flowers and decent-looking leaves, I thought I would add it (well three of them) to the garden in the hope that it may provide tasty fruit for me or distract the blackbirds from the other fruit. 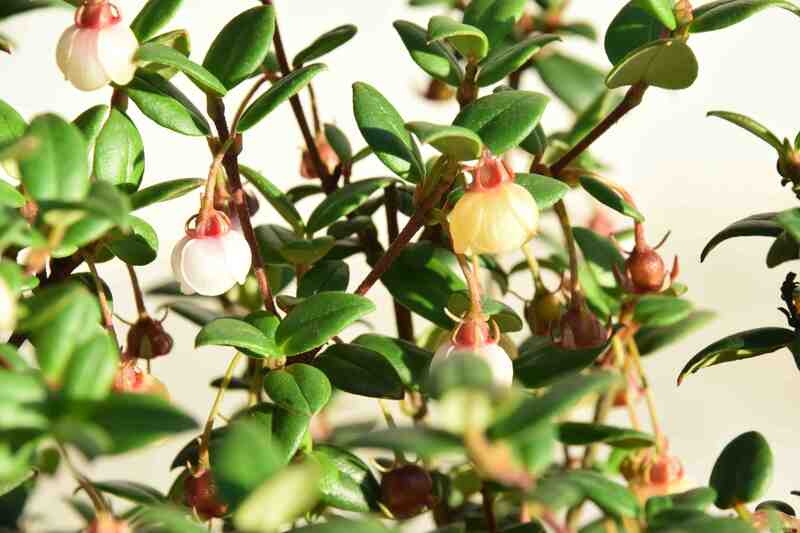 Ugni molinae is also known as Myrtus ugni and is from Chile. Common names include strawberry myrtle and it is grown and marketed in Australia as ‘Tazziberry’ although I am not sure if this is a particular cultivar or not. Anyway the fruits, which ripen in autumn in the northern hemisphere, are said to be delicious when ripe. Even if I don’t get to eat any fruit I am happy enough with the plant as an ornamental that will grow to about 1m high and across. The evergreen foliage is neat and attractive with a resinous aroma when crushed and the pretty flowers have a sweet fragrance. I can’t quite place the smell but I have read it described as like candy floss and it seems a good way to convey the sweet, fruity smell. The flowers open translucent white, rather like lychees (maybe the flowers smell of lychees!) and as they fade they change to straw yellow before the petals drop. It seems that every flower ‘sets’ and is forming a small fruit. They are bright red when ripe. It is commonly reported that they were Queen Victoria’s favourite fruit! This is best planted in well-drained soil in a sunny spot. It may not be reliably hardy in very cold areas but should be fine here in Ireland where so many South American plants do so well. It will probably struggle in very alkaline soils but I don’t think it is a real lime hater. Ugni molinae is named after Juan Ignacio Molina who first described the plant and was introduced to the UK in 1844 by William Lobb. William Lobb was a Cornish plant collector who worked for the Veitch nursery and among his many introductions were the monkey puzzle tree and Berberis darwinii.